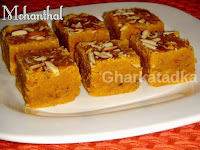 Mohanthal is traditional Gujarati sweet which is made from coarse chickpea flour, ghee, sugar, and cardamom powder. Mohanthal is a favorite for auspicious occasions and festivals like Diwali. Fulwadi is a traditional Gujarati snack which is the perfect blend of sour, sweet and spicy taste. In old days it is very common in Gujarati marriages and other occasions. 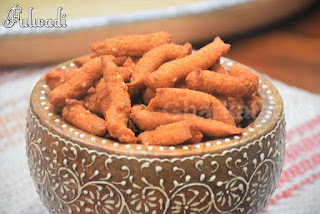 Fafda is famous Gujarati snack. It is made from chickpea flour mixed with spices. Generally, it goes well with kadhi chutney and raw papaya (sambharo). Besan Sev is nothing but gram flour Noodles. It is eaten as a snack or used to sprinkle on a lot of Indian fast foods such as Bhel mix and Sev Usal. Batata(Potato) vada is one of the most popular snacks in India. 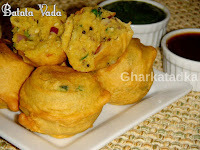 In Maharashtra this recipe is called Batata vada, In south potato bonda, and In Gujarat, it is also called batata vada. 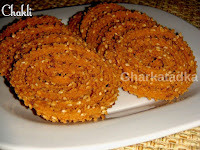 Chakli is a traditional Indian snack is probably the most famous among savory snacks in India. 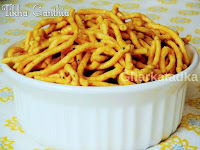 In this version, we made chakli with gram flour, moong dal paste, and rice flour. 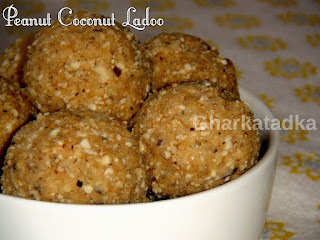 Besan Ladoo is very famous sweet in all over India. It is made during special occasions and festivals. This awesome sweet made from besan, ghee, sugar and cardamom powder. 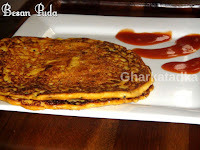 Besan Puda or Chilla look similar to a pancake and is made from chickpea flour. 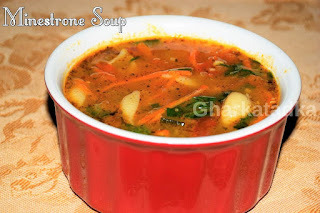 It is very quick and easy to make a dish and perfect for breakfast, light lunch or dinner. 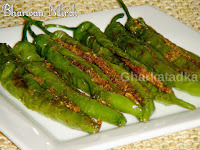 Methi Gota is famous Gujarati snack mostly having a presence in a party or get to gather. 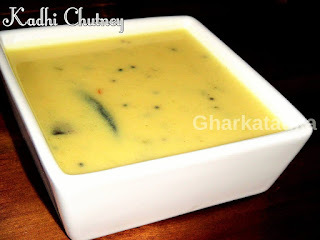 It is very enjoyable during monsoon season with tea or chutney. It is made with chickpea flour, fresh methi leaves, and spices. 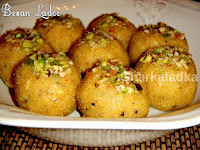 Boondi Laddoo is one of the most popular desserts of all time. Boondi laddoo doesn’t need any introduction. It is most common sweet in any occasions, whether it is a celebration or festival. 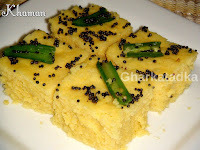 Khaman or Khaman Dhokla is a food common in the Gujarat made from gram flour(besan). Khaman are so soft and spongy in texture. Bottle gourd(Dudhi) muthia is famous Gujarati anytime meal. 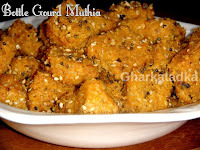 It is made from wheat flour, chickpea flour mixed with shredded bottle gourd and spices. It is steamed and tempered with oil and spices. 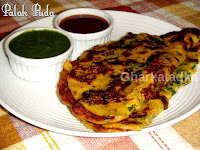 Palak(Spinach) puda is similar to besan puda, is made from besan, yogurt, chopped palak and spices. It is a quick recipe and use of palak make the dish healthy and delicious. 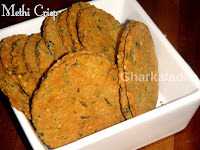 Methi crisp is a baked version of methi puri. This healthy snack made from gram flour, wheat flour, and fresh methi leaves. It tastes little bitter and goes well with tea, chutney or raita. 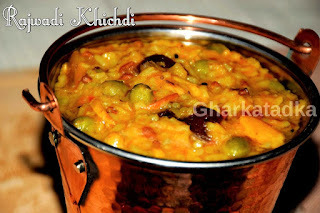 Tikha ganthia is simply made from gram flour and Indian spices. 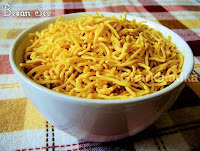 It’s commonly known as jadi sev in Gujarat. 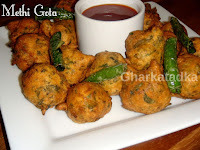 Tikha ganthia are great Diwali snacks also taste great with a cup of tea. 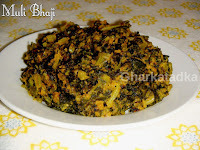 Bajri methi muthia is delicious Gujarati snack for light dinner or breakfast. 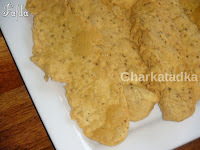 It is prepared by rolling and steaming bajri (millet) flour dough with mixing fresh methi leaves and spices. These healthy patties made from flours, spices, and vegetables, with a soft interior and a crispy coating. In addition, these are baked not fried. Magaj is another form of besan ladoo. 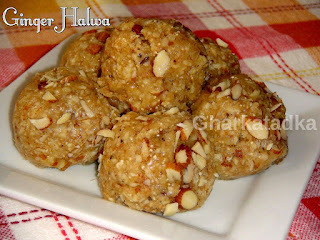 This sweet is very famous in India and especially in Diwali time. 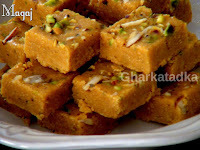 Its is made from chickpea flour and garnished with sliced almonds and pistachios. 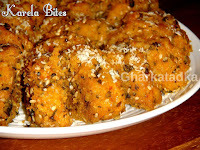 Karela(Bitter Melon) bites are a great way to eat karela. Everybody can enjoy this dish without knowing this is made from karela skin. So you can serve this to a kid also. 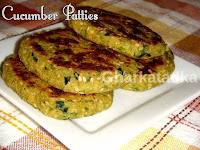 Cucumber patties are a very healthy dish as it made from cucumber, jowar flour, corn flour, besan, and spices. These patties shallow fry with very less oil and taste delicious.